So, when I was a kid... I lived in a really small town in Illinois. The type of town where everyone knew everyone else, and everyone helped each other out. One of my neighbors had a dog that I used to watch. And one of the benefits of watching the dog (Wilma) was that my neighbors had a Gottlieb "300," machine. Now, this was the late 80s and early 90s. This is the machine that I fell in love with playing at the time. Now, of course, I had never really played machines other than that until I got to High School. When in High School I played JV and then, eventually Varsity Ice Hockey. Now, this is where the bug was planted the rink where we played had an Addams Family and a Terminator 2. And I remember playing these games for HOURS on end. 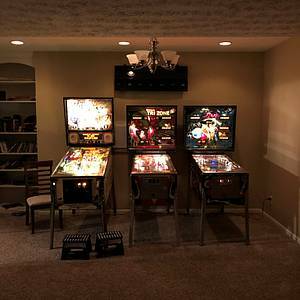 Pinball took a back seat for many years after this time, but I always wanted my OWN machine. I went to college, then grad school, then started a family and all of that.... With other BIG life changes happening, I decided; last August (2018), that I would buy a machine having done almost NO research and NO idea of the value of the machine. The criterea of the machine was "Is it local?" and "Is it for sale?" So, you can tell this was an impulse decision. I purchased a Williams "Tri Zone," (1979). After this has happended, the bug bit me hard... 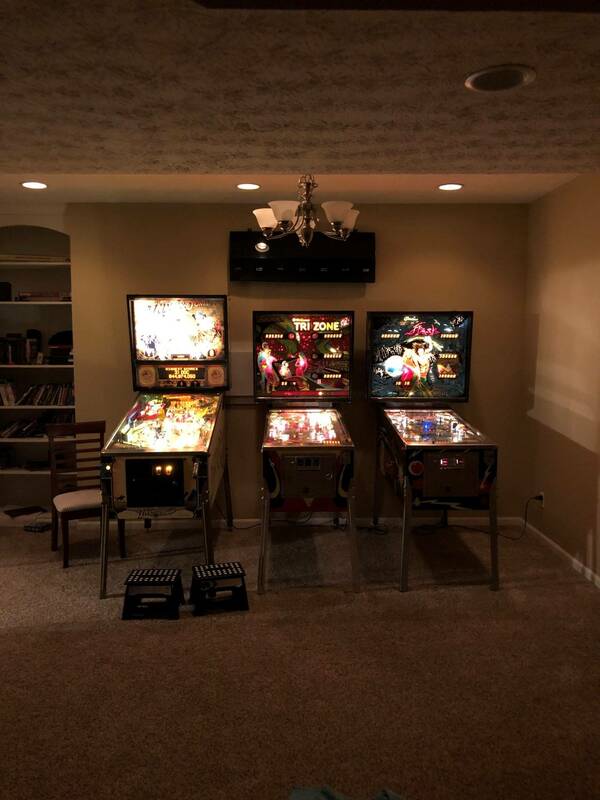 I have picked up 2 more machines and I am not planning on stopping any time soon. Nice collection you have there man!